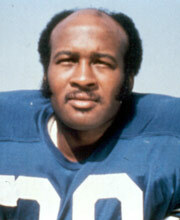 December 30, 1941 Melvin Lacy Renfro, hall of fame football defensive back, was born in Houston, Texas. Renfro attended the University of Oregon where he was a track star and All-American halfback and defensive back. 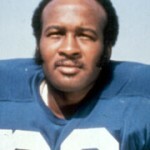 He was selected by the Dallas Cowboys in the 1964 NFL Draft and over his 14 year professional career was a five-time All-Pro selection. Since his 1977 retirement, Renfro has committed himself to building up the inner-city community of Portland, Oregon through the Mel Renfro Foundation. In 1986, Renfro was inducted into the College Football Hall of Fame and in 1996 he was inducted into the Pro Football Hall of Fame.